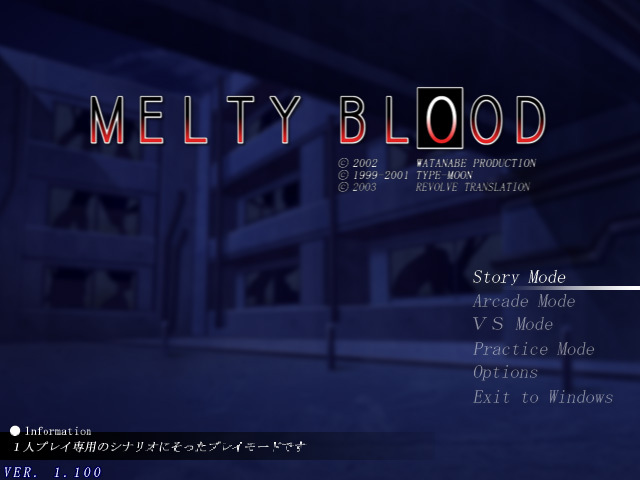 Melty Blood is one of those doujin fighting games that Insert Credit likes to go on and on about. Apparently it’s pretty good. 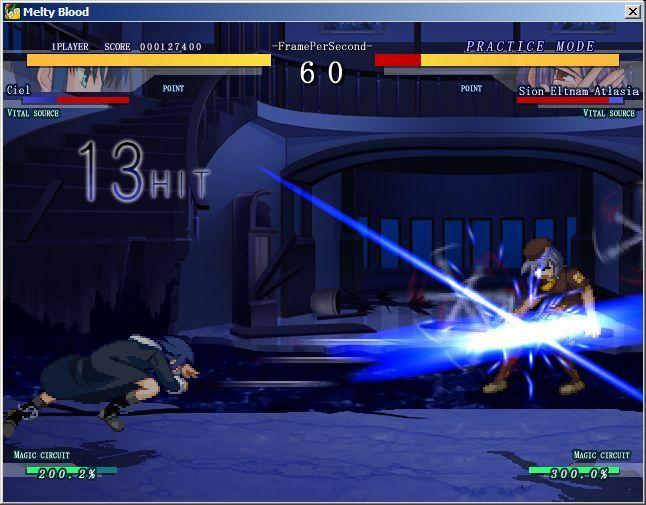 The screenshots seem to depict a definite Guilty Gear kind of look. Actually, I don’t really know what a “doujin” game is. Is that even the right word? 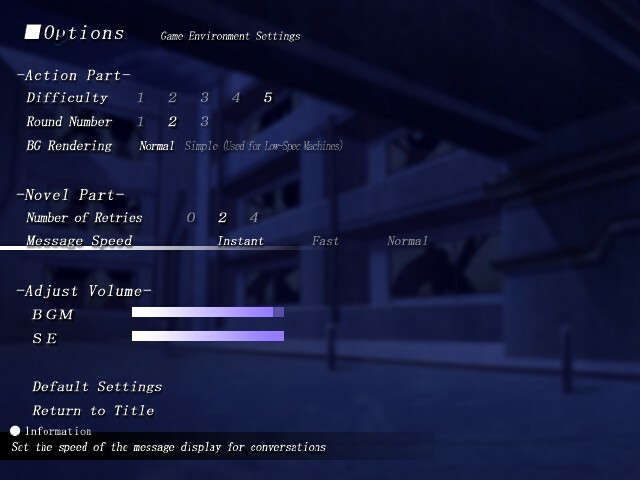 In any case the game’s pretty fun, even if it does run at a sexilicious 17 fps on my system. Ooh, baby.